Shy away from sky-high stilettos and opt for something comfortable but just as equally high fashion. This season, it’s all about luxe materials and futuristic detailing. Moody metallics and slim-lined silhouettes are the perfect addition to pleated midi skirts, chiffon dresses and matching accessories. The snedge: the shoe of choice for the “it” girl. A style revolution was set into motion thanks to Isabel Marant’s unforgettable sneaker wedge. This office-appropriate style was adopted by fashion brands all over the world and is the perfect balance of style and a way of life. Low-key prints in soft muted tones scream style and sophistication. These desk appropriate Converse kicks sport a subtle snake printed satin upper and white rubber sole. The ballet flat of the sneaker world, these lace-ups will compliment a full-circle skirt and blouse combo. Leather sneakers are the height of fashion for Autumn and Winter. These Scandinavian designed sneakers are the perfect amount of practicality and stylishness. They’re so slick, nobody will even notice you’re wearing trainers. Team with a LBD, cable knit jersey and a layered winter coat for sartorial style. Revel in the details of the speckled Onitsuka Tiger. Fresh and white, these iconic runners will only add more luxe to your wardrobe. Slip these on with a preppy blazer, button-up blouse and this seasons culottes. You’ll earn more style points for thinking outside the box, so run with it! Up your style game from 9 till 5 with monochrome sneaks. These kicks are decked out with an all over mesh upper and suede detailing which will effortlessly blend with your office outfits. 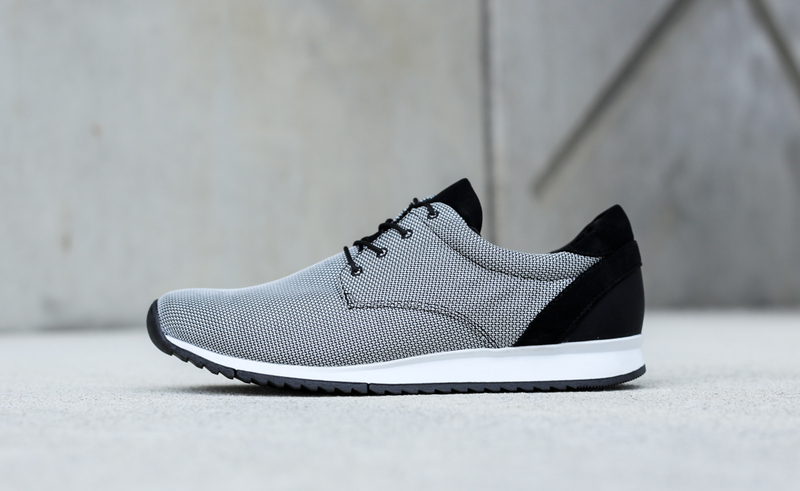 A plush white midsole transforms this normcore inspired shoe. Perfect with rolled chinos and a blazer.